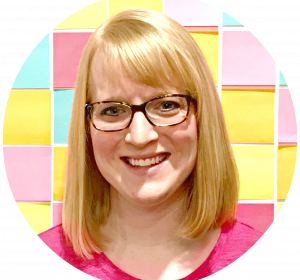 I want to welcome Sara, an Occupational Therapist to the blog today to share about sensory processing and the teenage years. Children with sensory processing disorder continue to grow up and age into teenagers and adults. Do you wonder what happens to kids with sensory processing disorder as they age into teenagers? 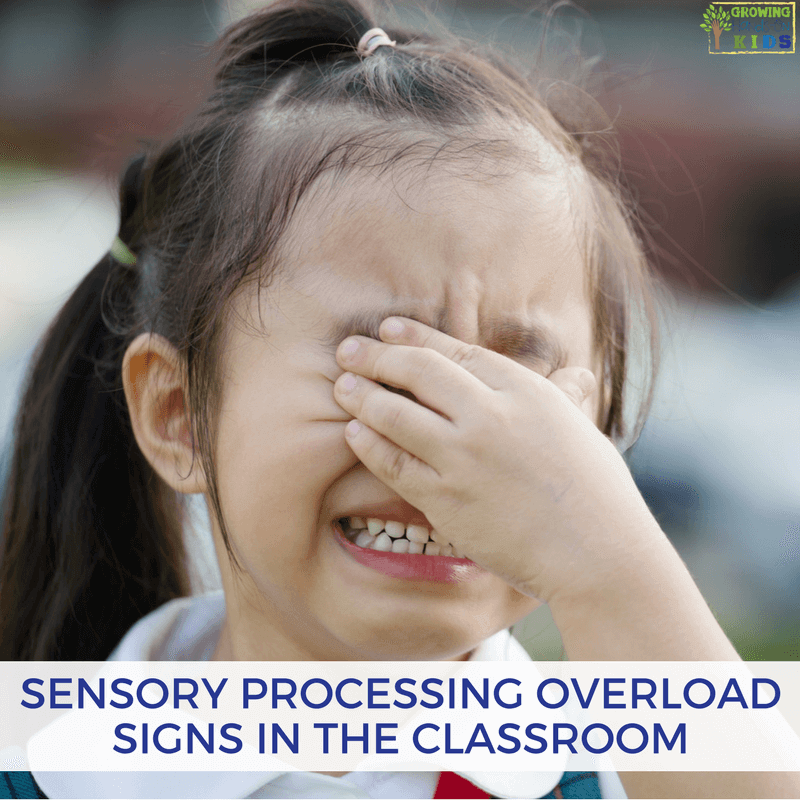 Like we know, all children are different and unique, but some of these children may still have difficulty with sensory processing as they become teenagers. Teens are presented with new experiences and expectations. Typically they want to gain more independence and control over their life, they are going through hormonal changes through puberty and they are presented with new social experiences. How do we support teens with sensory processing difficulties? As the parent, teacher, or therapist you need to be able to change your mindset for teens. They are no longer your little child that needs all of your help to help them with their sensory challenges. You need to help foster where they are developmentally and help them through these new situations. Allow them to make their own choices: They are going to want to explore more independence and make their own choices. We can get so used to making sensory choices for our kids (especially if they weren’t able to verbally tell us what they needed), but as they get older they may want to be able to make their own choices. In the moment they may need extra guidance and support from you to help them make that choice. For example, if they are starting to get frustrated and show some signs of anger, having choices laid out for them to help them calm down can be helpful. Present accommodations and activities to teenagers and let them decide which they would like to use. Honor and respect their choices and encourage them to engage in problem-solving with you. Self-Regulation and Self-Esteem: Learn to respect that teens may be more emotional during this time of life. Learn to recognize signs of anxiety and depression and seek out medical advice from a health professional with any concerns. Try these activities to help with emotions: deep breathing, mindfulness, yoga, spending time outdoors, Tai Kwan Do, and meditation. The Environment: Teens may start to have a little more control over their environment and let you know what upsets them in their environment. Consider the lighting, sounds, and smells in the environment that the teen is in. Do they let you know that certain sounds are distracting to them? Talk with your teen and listen to them. Together you can problem solve how to best set up their environment to help with attention and focus and help them complete everyday tasks. Find sensory strategies that are meaningful to teenagers: Teenagers have different views on what they will like compared to when they were younger. Teens may develop different sensory preferences and may need different sensory activities presented to them. The best way to find out how to support your teen's sensory needs is finding an occupational therapist or professionally trained in sensory processing to help your teen with one on one treatment and evaluation. These are just a few sensory activity ideas for teens to try. Check out these and many more in the ebook Making Sense of the Teen Years: A Sensory Processing Guide. Teenagers are going through new changes and we need to learn how to best support their sensory needs during this time of life. 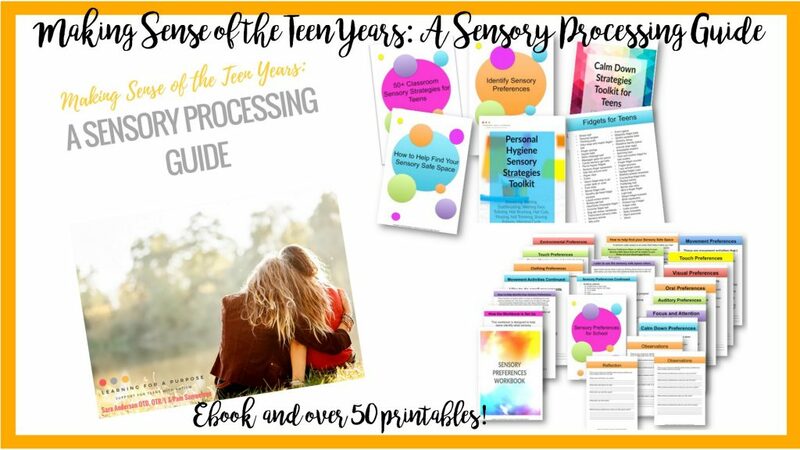 Check out how to best support them in the ebook Making Sense of the Teen Years: A Sensory Processing Guide. Sara is a sister to a teenage brother who is on the autism spectrum. Her family created the blog called www.learningforapurpose.com to share valuable resources they have learned as a family on their journey to help her brother become an independent adult. She currently works as a pediatric occupational therapist and her mother is a special education teacher who now homeschools her brother. Together they provide professional knowledge and their family's experiences to provide you with resources to help you in your everyday life adventures. You can find Sara and her family's blog at Learning For A Purpose and on Facebook and Pinterest. Is it Behavior? Or is it Sensory Processing?